This lovely reversible fleece jacket and trousers set by Lilly and Sid is an ideal outfit to keep baby warm in the winter months. 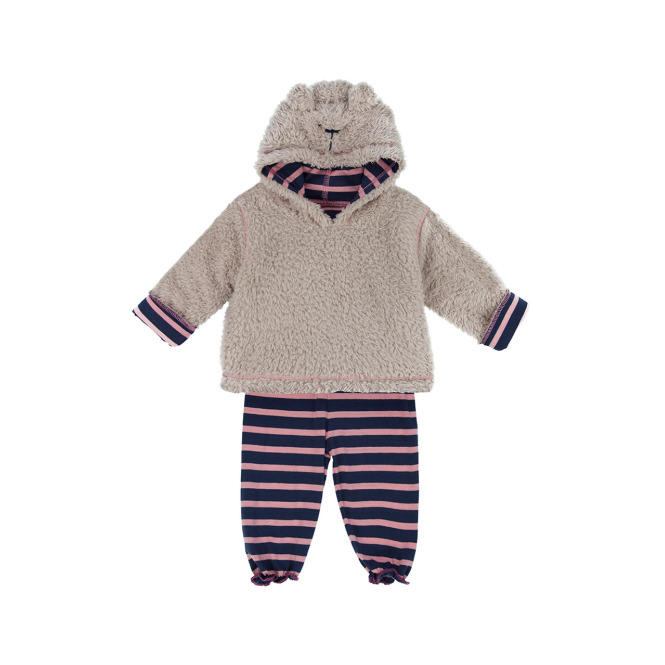 The jacket features allover navy and pink stripes with a stripey cat pocket and cream trims but can also be turned inside out for an all cream fluffy alternative complete with cute little ears on the hood. The matching pink and navy striped trousers have an elasticated waistband and pretty frilled cuffs. This gorgeous set is made from 100% cotton with 97% cotton, 3% elastane trims.